When you buy livestock from Alpaca Magic, you buy much more than the animal. You buy ongoing support and advice from the experts. We don’t just breed, and care for livestock – we care about them and their long term welfare and wellbeing – even after we have sold them. We want you, as a new (or even not so new) owner to enjoy your animals and know that we provide advice and support if you need it. Do we need to call a vet? Does our animal need, worming, vaccinating, toe trimming, shearing – if so how and when do we do this? Does our animal need to be shorn? How do we know? How/when should it be done? Our female is starting to birth a baby – we aren’t sure if things are going as they should? Our new baby needs to be microchipped, or ear tagged or registered. How do we do this? An unnecessary vet call can be needless expense. A delayed vet call for an important issue can be expensive or even worse, a death sentence. Having an experienced breeder to advise you about simple or complex issues can be invaluable. There are many questions small and large that new owners have – as experienced breeders we are happy to offer you our advice and support. 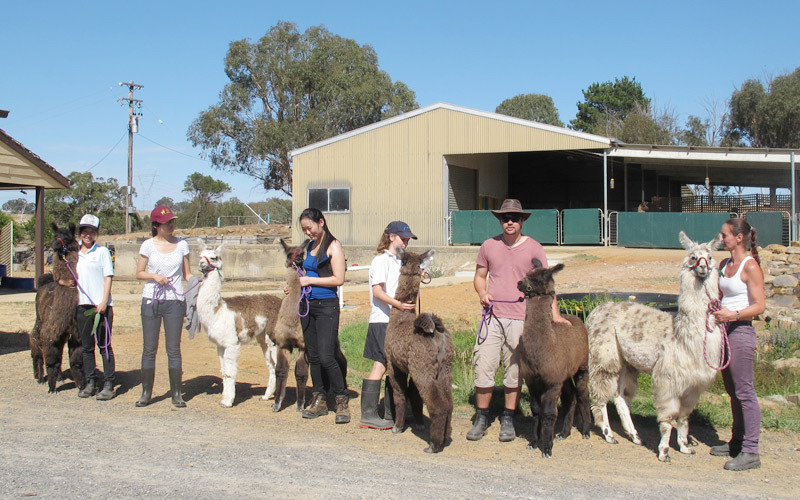 As full time farmers who have been breeding alpacas & llamas since 1997 – we are happy to provide advice and available.